Unless you’ve been living under a rock for the past year, you’ve probably noticed the growing prevalence of facial hair in art and fashion. Continuing the obsession with all things bearded and bristly, this video comes from clothing label Nonnative and was put together to showcase their Spring/Summer 2011 collection. 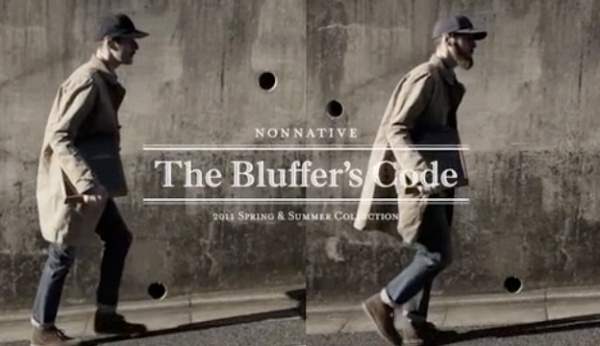 Titled The Bluffer’s Code, this video is minimally scored and features a couple of dapper dudes traipsing about in smart looking jackets and fake moustaches. This entry was posted in Facial Hair, Shaving and tagged Nonnative, rock, Spring Summer, Summer. Bookmark the permalink.